This chic, modern logo is perfect for your brand! 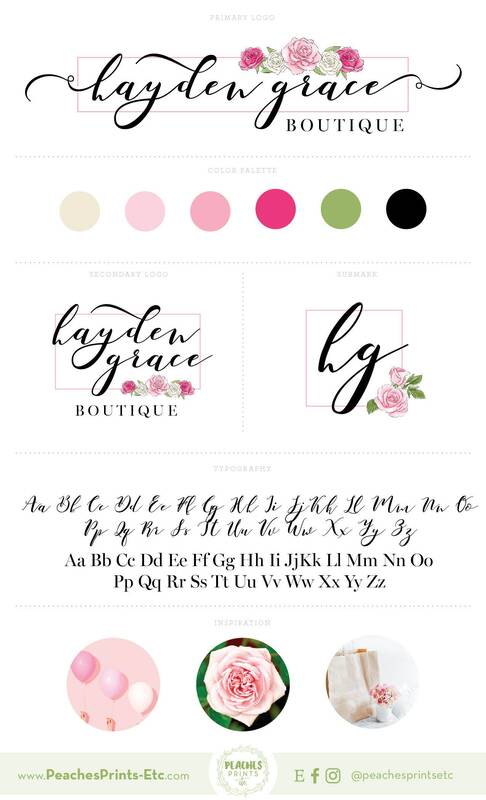 Whether you are a boutique owner, photographer, blogger, stylist, event planner or anything in between, you will be ready to showcase your business with this affordable logo kit. Once all the information is received, I will send a proof through Etsy Conversations. Two complimentary revisions are included in the listing price. - Additional edits after two revisions is subject to $35/hr design rate. - For licensing purposes, fonts cannot be included with your logo, but will be outlined in the mood board. - This listing is for digital files only. No physical item(s) will be shipped. - Due to the custom nature of this item, no refunds or exchanges are allowed. - Turnaround is 1-3 business days from purchase date. Please don't hesitate to message with any questions! Items are shipped 1-3 business days after checkout through the USPS. Packages are delivered within 3-5 business days of shipping. Local Buyers: Use Coupon Code LOCAL at checkout to defer shipping costs. Pick-up only available in Murray, Ky City Limits. Coupon Code only used for Local Buyers. Purchases that require shipping and use this code will not be refunded or fulfilled until shipping has been paid.